BSI Insta-Cure Super Thin Glue is a cyanoacrylate glue that bonds wood, plastics, metals, rubber and many other materials. Excellent penetrating capabilities. Bonds in 1-3 seconds when used between tight fitting pieces. 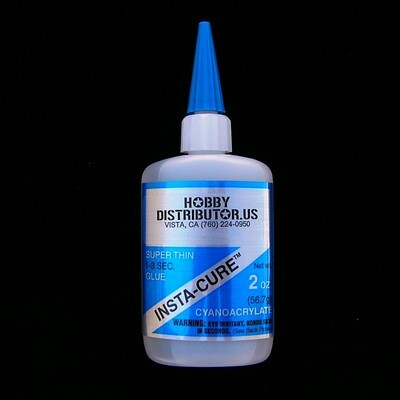 Can be used with BSI Insta-Set Accelerator to quickly cure thicker sections of BSI Insta-Cure Thin Glue.